Established in March 1993 as private owned company. 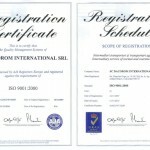 ISO 9001:2000 Quality Management System Certification, as per AJA Registrars certificate no. AJA05/8330. 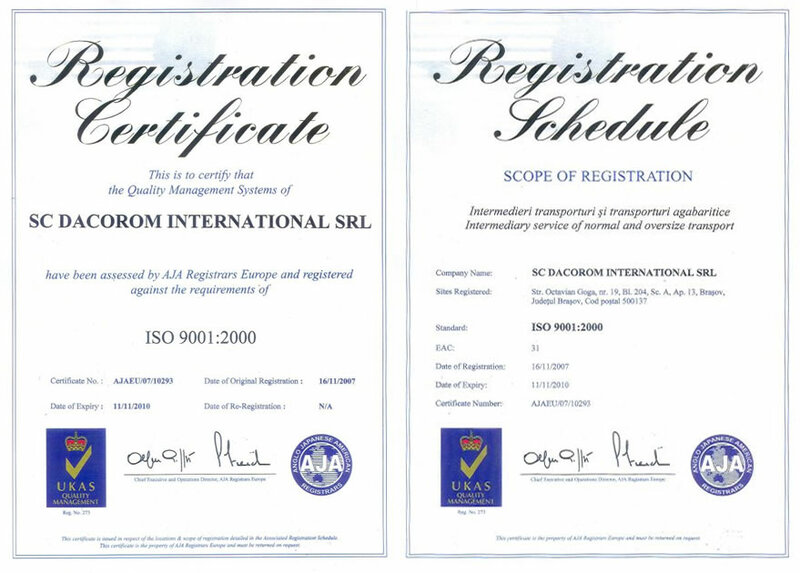 Dacorom International Ltd holds a vast international experience, offered to its clients, together with forwarding organizations and groups of companies with whom it works in close co-operation.